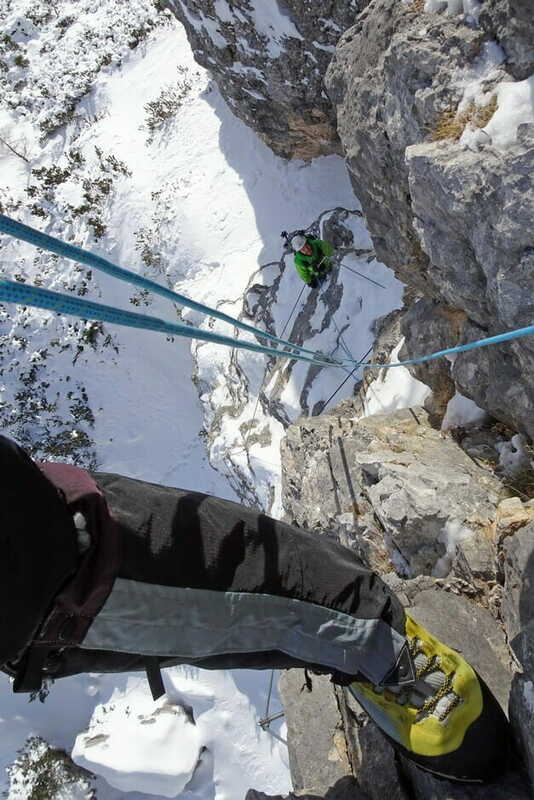 Ra Bujela ferrata in winter and the World Ski Cup in Cortina. HomeFerrata The World Ski Cup races seen from Ra Bujela. The World Ski Cup races seen from Ra Bujela. The World Ski Cup in Cortina and Ra Bujela ferrata in winter. Climbing the Ra Bujela ferrata in winter and the chance to admire the World Cup athletes racing from above is certainly a one-of-a-kind experience for mountain lovers! Over the coming days, on the occasion of the spectacular Cortina d’Ampezzo Ski World Cup, which will see the best athletes in the world racing on the fabulous Olimpia delle Tofane slope, you can climb the Ra Bujela ferrata with me and enjoy the spectacle from above. This year Cortina will have one more event than the original programme, the women’s downhill race cancelled last week in Val d’Isère. FIS (International Ski Federation) has officially announced that the Regina delle Dolomiti will have a fuller programme than expected. It will begin on Friday 19th January with the first downhill race followed by a second downhill on Saturday 20th and SuperG on Sunday 21st. The via ferrata climbs the tower called Ra Bujela, just north of the most spectacular and famous section of the slope, Schuss delle Tofane. The starting point of the equipped route can be reached easily on the Piè Tofana – Rifugio Duca d’Aosta ski lift. In winter estimated completion times are around 2 hours. For technical details on the ferrata try reading the article published here when the Ra Bujela ferrata was opened. Last winter I climbed Ra Bujela and I must say that it is even more interesting in winter than in summer, when the rock face can sometimes be packed with climbers. Such an ultra-panoramic vantage point over the Ski World Cup is certainly a not-to-be-missed opportunity. There’s no doubt that the Ra Bujela climb is more challenging in winter than in summer. Contact me if you would like to climb Ra Bujela and see the races from above. It will be an unforgettable experience. Did you know that if you subscribe to the newsletter you can receive my posts by e-mail? This newsletter will be sent out only when I put a new article on the website, when I’m planning something interesting or when I’d like to tell you about my experiences and activities or mistakes I’ve made which have taught me how to stay safe in the mountains. By checking this box I confirm that I have read the Privacy Statement. I consent to the use of my information provided for receiving the Newsletter. Do you know who Angelo Dibona was?